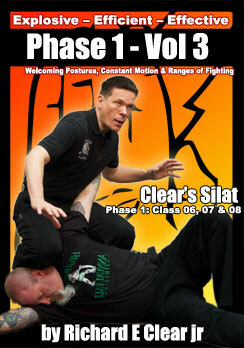 Silat Welcoming Postures are actually moving positions that utilize deception and decoy to attempt to trick an opponent into making a bad decision or moving into a bad position. 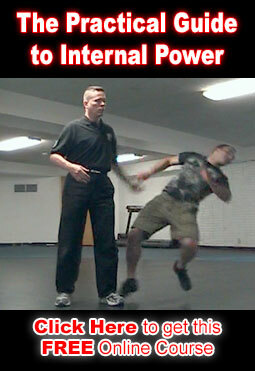 I will use some simple examples to illustrate the idea of Silat Welcoming Postures. These examples will help me to make the point about what Silat Welcoming Postures are but these examples are generally are not used in the islands as they are to overtly obvious to another Silat fighter. However, the examples I am listing here could generally be used in our culture if you have the deceptive skills to pull it off. Example 1: Stick your hand out and offer to let the other fighter strike it so that you can get his hand with something hard such as your elbow when he goes for the bait. Example 2: Stick your head out and offer to let the other fighter strike it so that you can evade the head attack and attack him as he comes in. Think of the bull fighter who holds the cape in front of the bull only to stick the bull with the sword when the bull comes charging in. Example 3: Make it look as though you have a bad leg that you can not move very well and when the attacker tries to capitalize on what appears to be a weakness you then have him as you are quite prepared for his attack and actually very strong in the leg that you offered as bait. Example 4: This one is the kind that Silat tends to really use. Make it look like you are really defending yourself but have one little positional error that is very slight so that it looks like an actual mistake or poor position that you are not aware. It could be an arm that is held a little to low and forward making it appear like an actual mistake of position as opposed to something being offered. Or it could be a foot that you make it look like you are trying to use to creep towards the opponent while you are actually extending it for bait while hiding the fact. Essentially these are traps that you are waiting to spring as soon as the attacker comes into range or begins to get into a position to take advantage. If you have one position and then change into another very different position and the opponent follows suit you may have an advantage to attack them while they are changing positions. Example 5: Silat definitely uses this one. Change from one position to another and do it so that you look to be open while changing positions. When the opponent tries to capitalize on the opening they are actually stepping into the trap. This requires that the Silat practitioner be very skilled at both the positions and the changing between positions including having a multitude of fighting options in each part of the positions and transition. The skill needs to be high enough that it looks like there is an opening which is in reality a trap that can be sprung at any time.